The LD Systems DAVE 15 G3 Satellite Cabinet Bag is a high-quality protective cover designed to protect your cabinet while on the move. 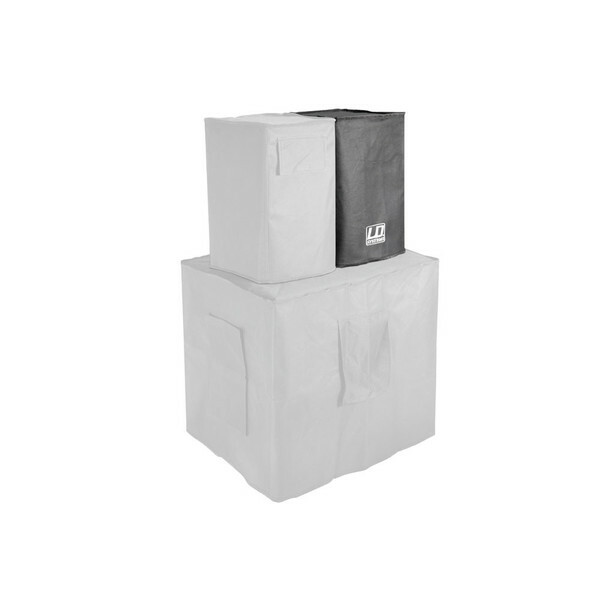 The cabinet bag is constructed from high-quality nylon, protecting your cabinet from superficial damages such as scratches and bumps while on the move. The DAVE 15 G3 Satellite Cabinet Bag is the perfect solution for storing and transporting your PA speaker, designed to fit the DAVE 15 G3 perfectly, whilst protecting from dust and particulates. The simple design allows you to quickly and easily cover your speaker.